A third-generation insurance pro, President and CEO of Algren Associates, Inc.
May 30, 2017 – Baltimore – LifeMark Partners, Inc., one of the nation’s largest independent national insurance marketing organizations, today announced a new member to its board of directors: Douglas A. Mishkin, president and CEO of Algren Associates, Inc. He will serve a four-year term. “Insurance is in Douglas’ blood. He has been around this industry his entire life, and that kind of institutional knowledge is priceless. With a profound understanding of the insurance market and the many nuances of the industry, we are certain that Douglas will bring a sound voice and expert advice to the board,” said William Shelow, CLU®, ChFC®, CPCU®, LLIF, president and chief executive officer, LifeMark Partners. Douglas A. Mishkin is a third-generation insurance professional. Although he entered the family industry, Mishkin chose a different career path from his father and grandfather, who built one of the nation’s largest multi-line and insurance benefits firms. Mishkin started his career as an agent with MassMutual Financial Group and The Guardian Life Insurance Company. In 1993, he moved to the independent channel by joining Bufkin, Hefferon & Siegel, a brokerage general agency in Manhattan, as their brokerage manager. He joined Algren Associates, Inc. in 1997 and, in 2001, was named president of the firm. In 2006, he assumed the role of chief executive officer when Algren’s founder retired. An active leader in the insurance industry, Mishkin served as chairman of the National Association of Independent Life Brokerage Agencies (NAILBA) in 2008, having previously served as a board member for seven years and as chair of its membership committee. In addition to his NAILBA involvement, Mishkin is currently an active member of the SubCenters (where he currently serves on their board of directors), the Professional Life Advisors Network (PLAN), Million Dollar Round Table (MDRT), the Association for Advanced Life Underwriting (AALU), and TYGERS study group. In 2009, Mishkin was the recipient of the Stephen A. Kramer Humanitarian Award from the UJA-Federation of New York. He is also a former director of the Life & Health Insurance Foundation for Education (LIFE), a nonprofit organization dedicated to helping consumers make smart insurance decisions to safeguard their families’ financial future. 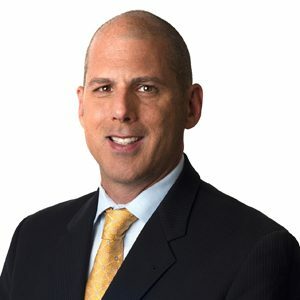 He has sat on numerous insurance carrier field advisory councils including North American, Genworth, United of Omaha, ING and MetLife, helping strengthen and develop product lines and more effectively communicate with distribution partners. Mishkin is frequently quoted and published in financial journals and publications and is an active speaker for national insurance and financial organizations. He has addressed international advisor forums from the Ukraine, Czech Republic, Hungary, Slovakia and Western Europe. Mishkin is a graduate of Franklin & Marshall College in Pennsylvania, where he earned a bachelor’s degree in business management. “Douglas has been a part of LifeMark Partners for years and previously served on our marketing committee. With his existing knowledge of LifeMark and vast industry perspective from his work with the TYGERS study group, we are fortunate to have him on the board. We are confident that his input will continue to enhance the strategies and resources LifeMark provides to its partner BGAs,” added Mark Rosen, chairman of the board.